Out-of-home media owner has handled bus-shelter ads in the area for 20 years. JCDecaux will be installing digital screens at 84 bus shelters in the London Borough of Camden after winning a competitive pitch. 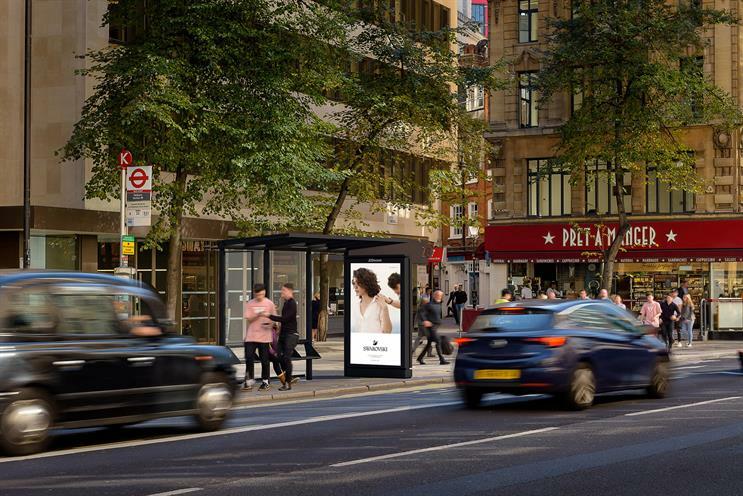 The out-of-home media owner has handled the ads for the bus shelters in the area, which includes Tottenham Court Road, Euston Road, High Holborn and New Oxford Street, for more than 20 years. JCDecaux will continue to work on the maintenance of the shelters, which were designed by Foster & Partners. Jean-François Decaux, co-chief executive of JCDecaux, said: "This 10-year contract for bus-shelter advertising in Camden is an important win and follows the award of the Transport for London bus-shelter contract and the Royal Borough of Kensington and Chelsea advertising concessions. "This means that JCDecaux now has the exclusive bus-shelter contracts for all central London boroughs – Camden, Westminster and Kensington and Chelsea. This new award strengthens our London portfolio as well as our UK market leadership in digital out-of-home. "Camden has a rich cultural history and we are delighted to continue our partnership, which started over 20 years ago."